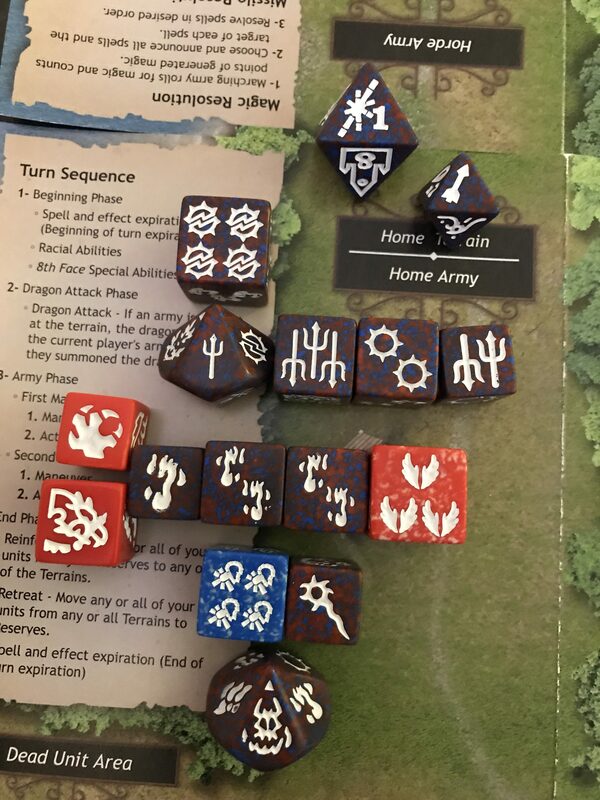 This is part 4 of an advanced level Dragon Dice battle and it is recommended that, if you have not done so already, you read the first three rounds before reading this. At the start of this round, the Empyrea appear to be holding all the good cards. 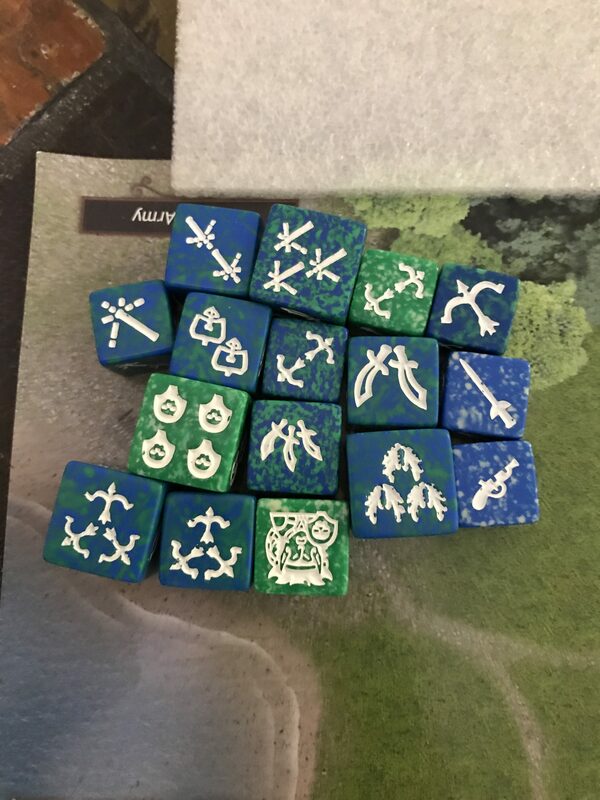 They are comfortably occupying two terrains, one on a magic action face, with loads of magical units and a reasonable amount of protection, which is needed as the firewalker mages are not well known for saves. 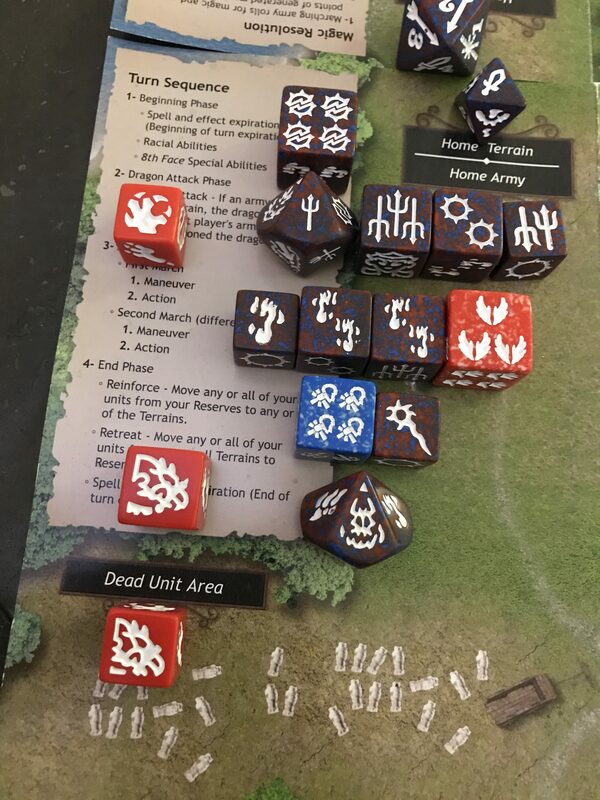 Their other army is at the home terrain with all the right elements present to allow them to use their racial abilities. This army, however, is primarily a melee army with a few bolt-ons. It also has magic, but this is from the Eldarim, which are unable to cast Mirage, which is the firewalkers’ favourite weapon. On the minus side, the Selumari archers are gathering at their coastland tower and, once they get to the tower, they will have access to all areas. This is the main thing that the Empyrea must strive to stop. 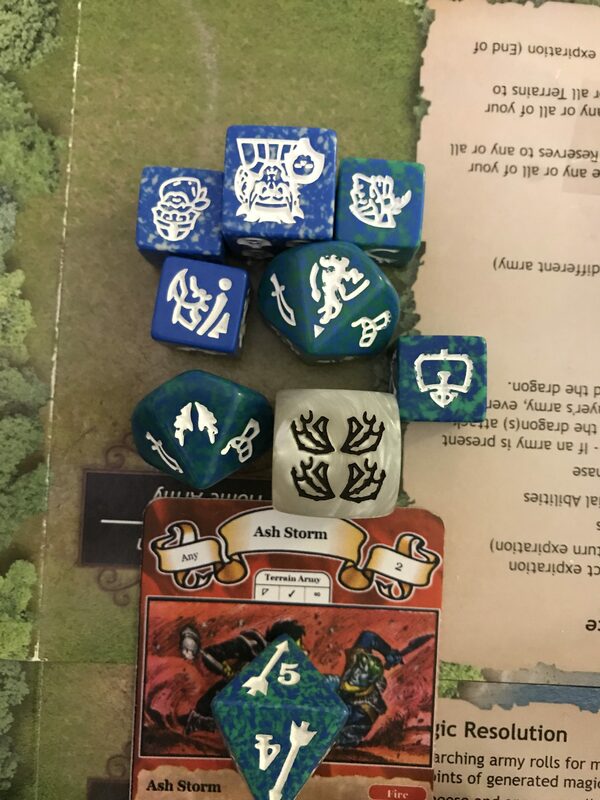 As the turn starts, a Fire Dragonkin is promoted. A Dragonmount replaces a Dragonfoal. 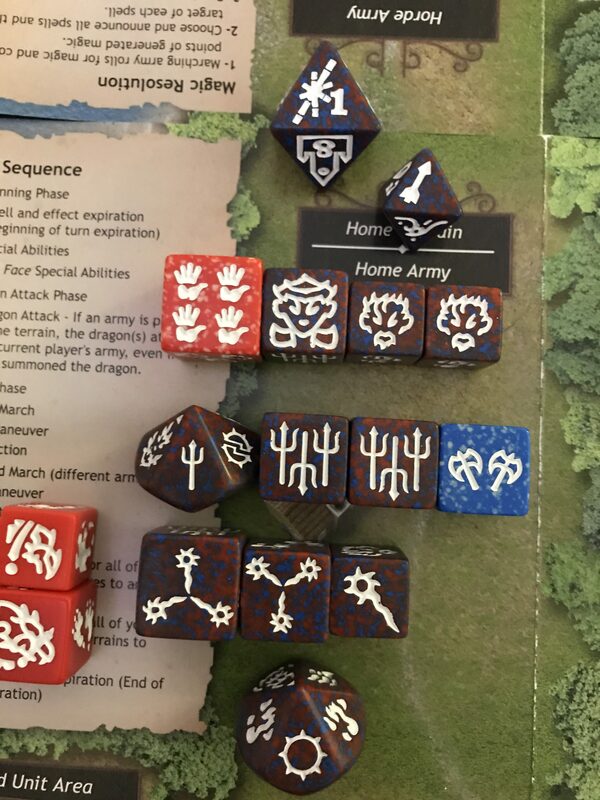 Finding themselves in no particular hurry and, accepting their limitations with regard to speed, having been beaten consistently by the opposing horde army, the home army moves the terrain back to face 1 to allow them to use magic. The bridge now gives access to their missile fire, which might also be useful. 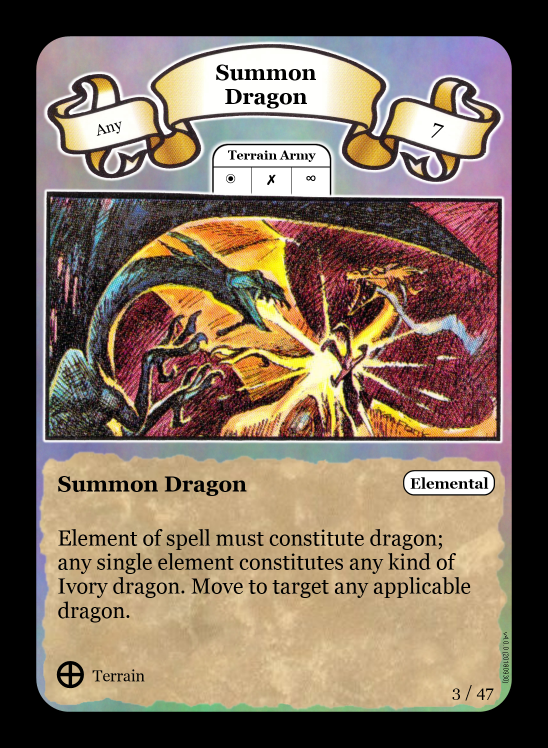 They produce 8 red and 4 blue results, with the possibility of using 4 points for Eldarim racial spells and 4 on Firewalker spells. An Evolve Dragonkin spell might help to get the Dragonkin Champion in the army a bit sooner than expected. This would leave 5 points of fire (red) magic and 4 points of air (blue) magic. Although this is a nice to have, it really does nothing to address the problem of the large missile force at the enemy home terrain. As there are 8 points of fire magic, and there is an available fire and death dragon available in the summoning pool, this drake might be called for a return visit. As the Empyrea are known for their sense of fun, they decide to play with the Selumari once again. An old friend returns from his holiday. This means that the ‘real’ magicians can concentrate on weakening the Selumari resistance at the coastland. They produce 11 fire magic results and 12 air magic results. 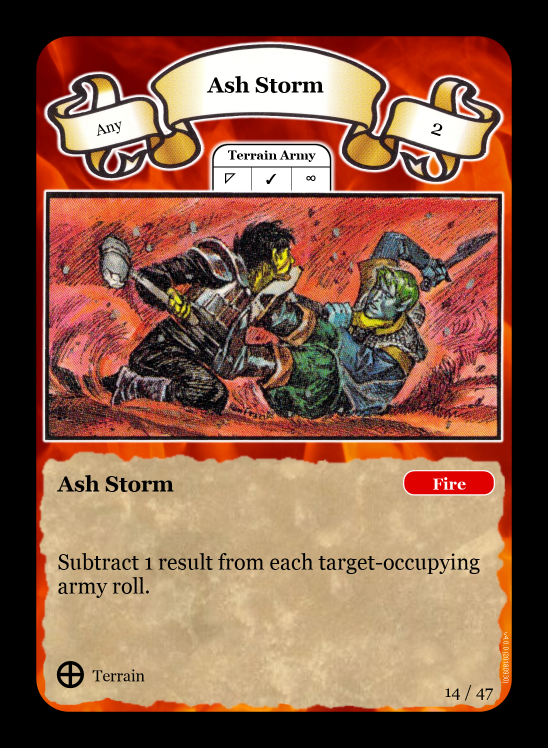 Two Mirages and the old favourite Ash Storm power their way across the battlefield. 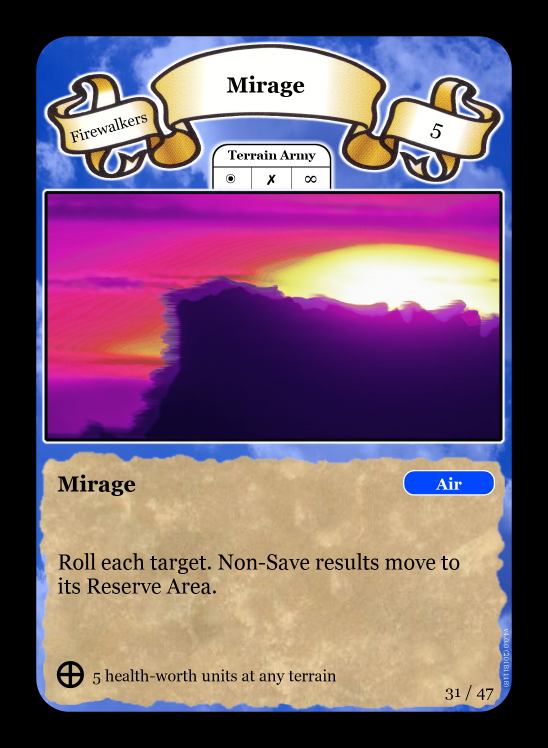 Only a single unit manages to shake off the spell of the Mirage. Six others, including a Sharpshooter, amble back to the reserves in a confused state. They will not be fighting Dragons just yet! The Selumari reserve looks formidable. The Selumari home army not quite so formidable. As the magicians are in the firing line from the besieged Selumari, they need to start to consider the idea of moving to a safer place in their home. However, with most of the force currently in reserves, this move can wait until a later round, especially as the shield bearers are still present. The firewalkers stay at their stations.